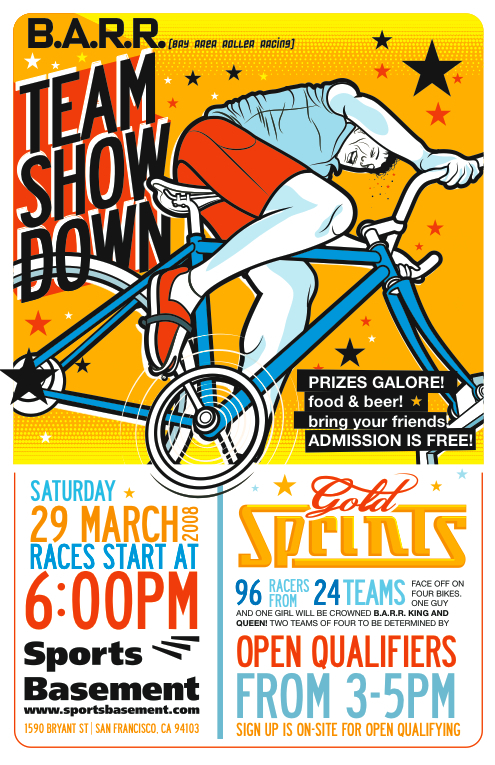 Team Showdown Gold Sprints Party at the Sports Basement on Bryant St. SF. Soma will definitely be donating a killer prize or two! C'mon down! Those not affiliated with a team can qualify 3-5pm.